El-Kanemi Warriors’ victory over Abia Warriors is 0their first away win since July 2013 and the man who gained the conquest for the away side, Husenni Bata, said he relished every moment of the rare victory on the road. 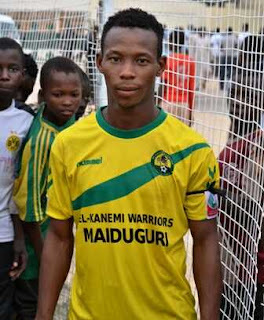 Speaking to naijaleague.com.ng after the week 9 encounter in Umuahia, Bata noted that this is an extraordinary win for his side and he is happy to be the one who got the goal for his team. “I am very happy because it is very important to win an away match,” Bata quipped.
. “This is the first away match that we have won this season and we pray more will come. 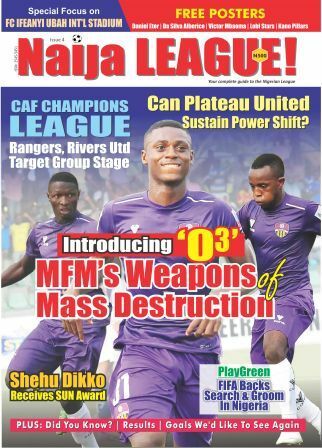 Though we have not been getting such results in the past, but this season we put up a mindset that we can get points on the road to improve our chances of finishing the league in a glorified manner”, he told naijaleague.com.ng. Husseni Bata’s goal came in the 8th minute and that was the solitary strike that defined the game. Last season, Bata scored only two goals.